It’s officially holiday shopping crunch time with just over 3 weeks left until Christmas! If you’re like a lot of us, you still have some gift-giving ground to make up before the big day. Even if you’re a super-prepared early bird shopper, you might still have a few gaps to fill in to make your holiday haul complete. No need to panic, though – we have some great gift ideas for everyone on your list! Looking for something that anyone would be delighted to find in their stocking on Christmas morning? 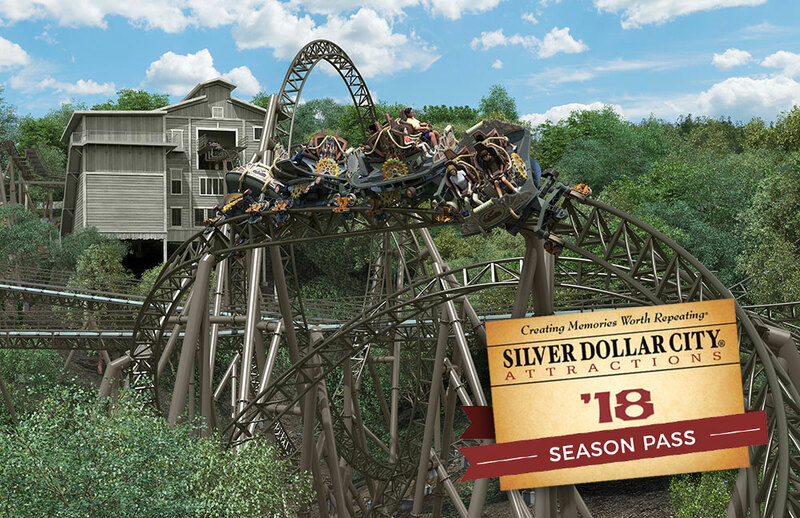 Give them the gift of unlimited fun in the coming year* with a 2018 Silver Dollar City® Season Pass! Want to make it really spectacular? Give them the ultimate ticket to adventure with a Silver Dollar City & White Water 2 Park Season Pass. But hurry – be sure to order your 2018 Season Passes by Saturday, December 9 to ensure delivery before Christmas. Silver Dollar City’s An Old Time Christmas® boasts 6.5 million lights, renowned Broadway-style productions and mouthwatering holiday feasts. It also features some of the most unique holiday décor anywhere in Branson! You can find themed ornaments and more in just about every shop on park, and larger collections in stores like Hospitality House and Ozark Marketplace. In addition, there are three shops dedicated solely to Christmas! Christmas Hollow & Jingle Bell Junction are both packed with decorated trees featuring ornaments of every color, theme and motif you can think of along with décor and much more! 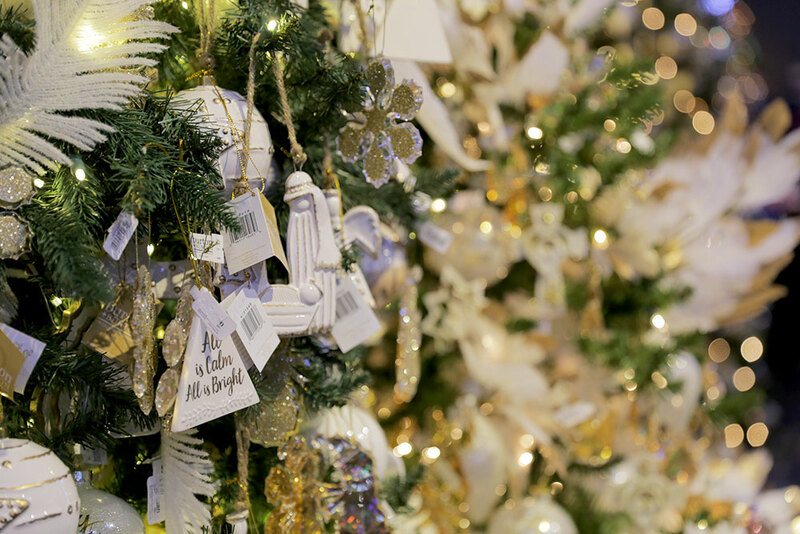 Plus, visit the NEW Christmas In Midtown Shop for Christmas In Midtown™Light Spectacular souvenirs as well as elegant Christmas decor including delicate glass and ceramic angels. Nothing says you care like choosing a thoughtful gift of the highest quality. 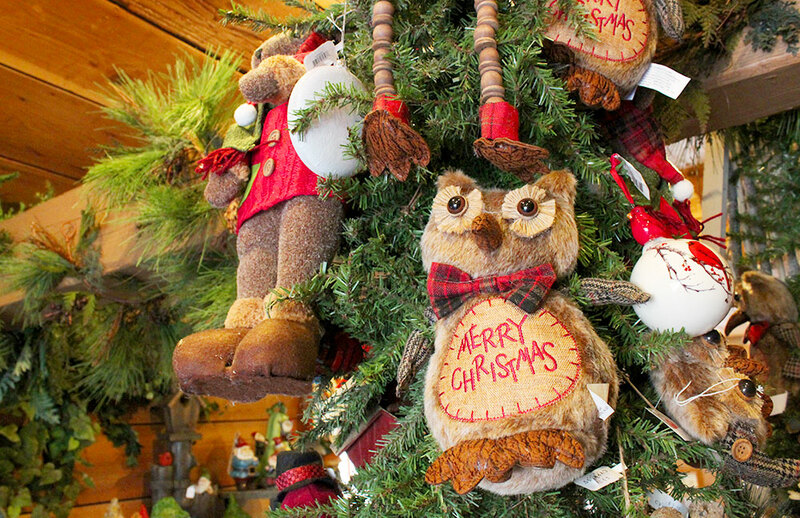 Silver Dollar City is The Home of American Craftsmanship and there is no better place to find beautiful one-of-a-kind handcrafted gifts this Christmas. 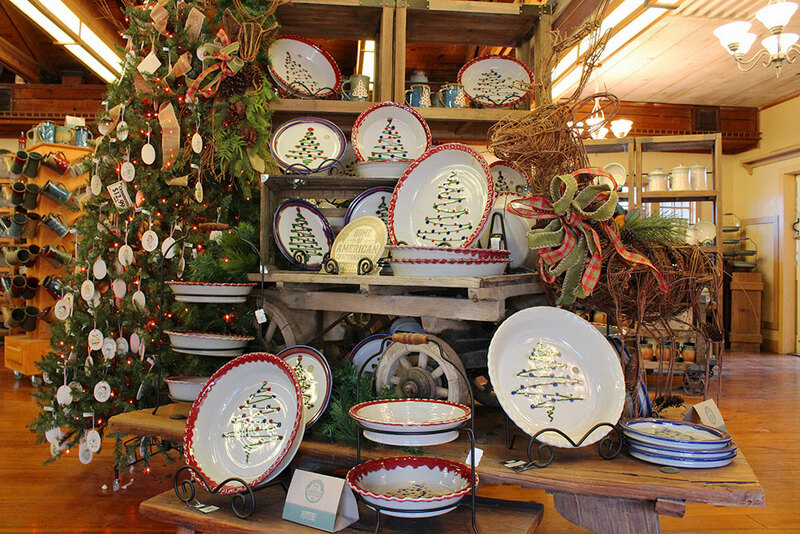 From delicate glass works of art at Hazel's Blown & Cut Glass and hand-thrown mugs, pie plates and dinnerware at Hillcreek Pottery to expertly forged blades at Mountain Outfitters and carefully crafted leather goods at Mountain Leather, you’re sure to find that perfect piece to place under the tree. 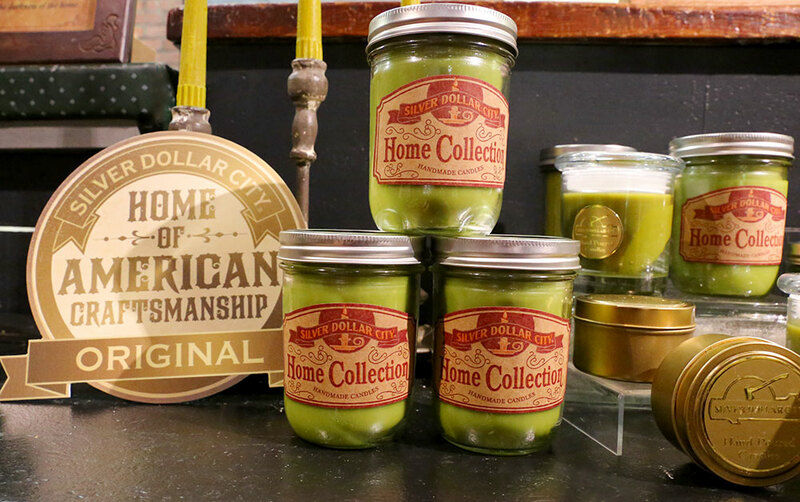 If you know someone who likes to wield a whisk, then we’ve got your Silver Dollar City shopping stops to find a gift that really cooks. 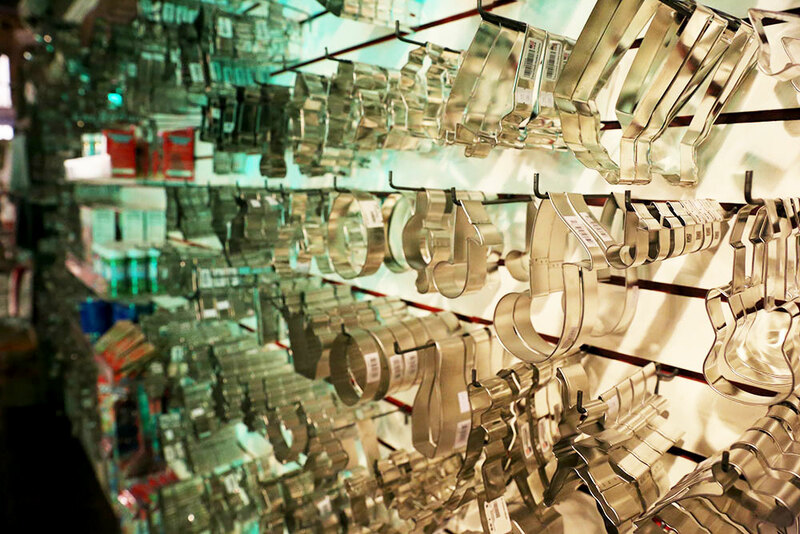 For the bakers in your life, head to Sullivan’s Mill where you can pick the perfect cookie cutter from over 100 different designs. 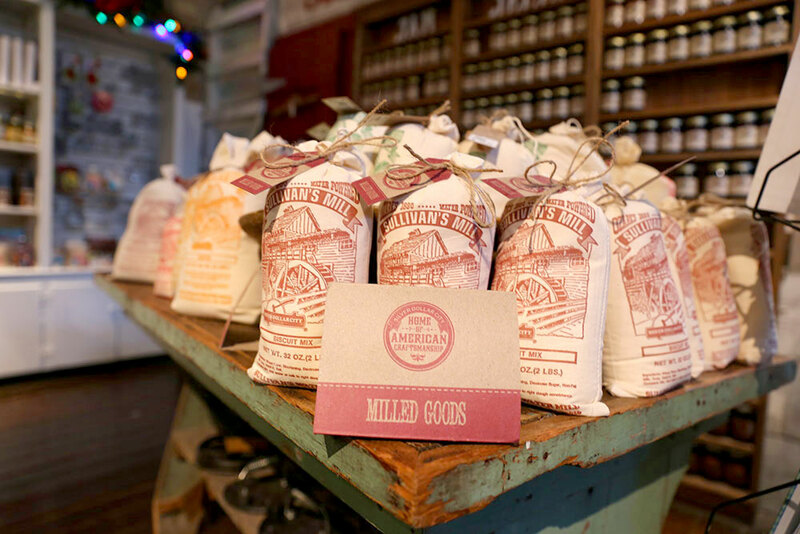 Sullivan’s also has bakeware, accessories and handcrafted corn meal and baking mixes to assist avid bakers in their culinary efforts. All great cooks know that the right tools can make or break your dish and cast iron is always a top pick for delicious results. Over at Wilderness Road Blacksmith Shop you can browse a selection of Lodge Cast Iron Cookware including pans of all sizes, griddles, Dutch ovens and more. 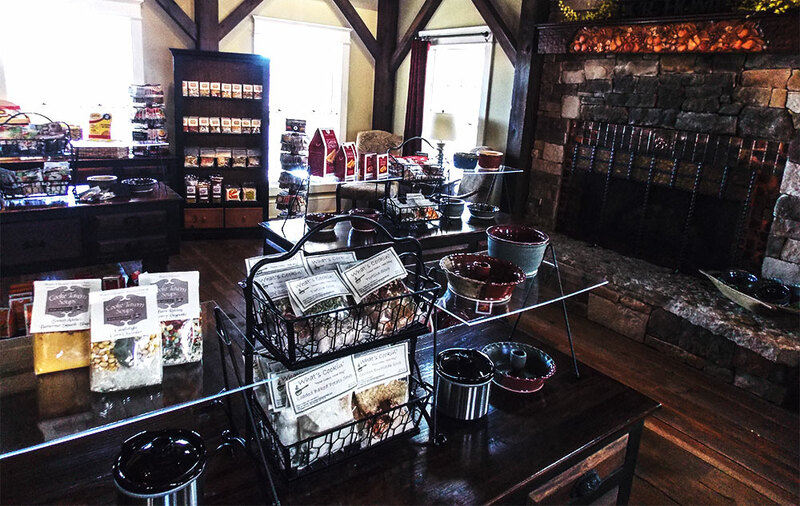 Plus, find delicious dips and snack mixes for all your holiday entertaining at the Midwest Living Culinary & Craft School Tasting Room. If you know someone who puts all their heart into their home, then we have some ideas for gifts to grace their space with style. 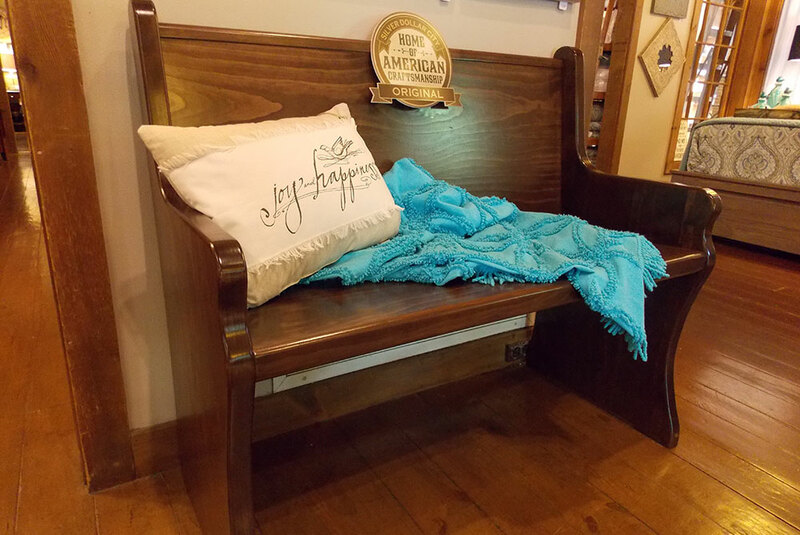 At Heartland Home Furnishings you’ll find furniture of the highest quality handcrafted right here at Silver Dollar City, along with beautiful accents and décor. 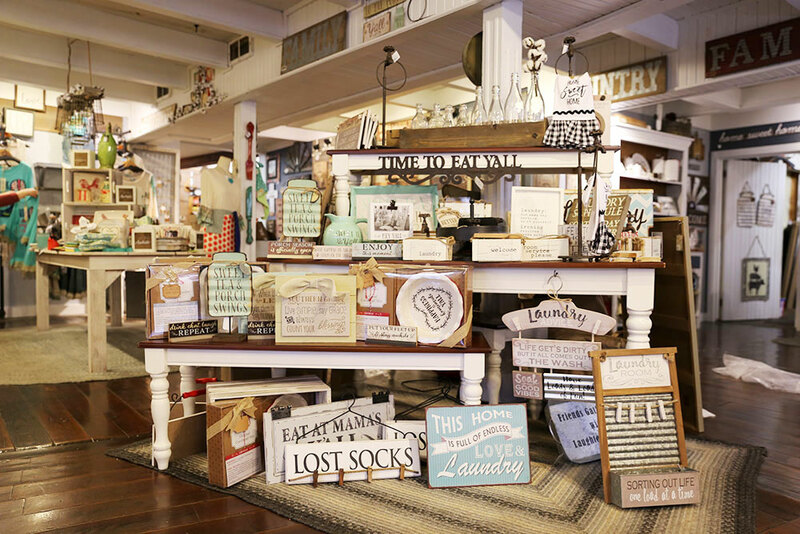 For fans of modern farmhouse style The Farmhouse at the General Store is a great source for home gifts of all kinds including signs featuring fun Southern sayings, barn wood clocks, farm-themed kitchen décor and chic throw pillows. Candles are always a great gift and at Carrie’s Candles you’ll find all sizes of handcrafted candles in rich colors and a wide variety of delicious aromas. In addition, Carrie’s has scent warmers and wax melts, candle holders and other gorgeous home décor items. 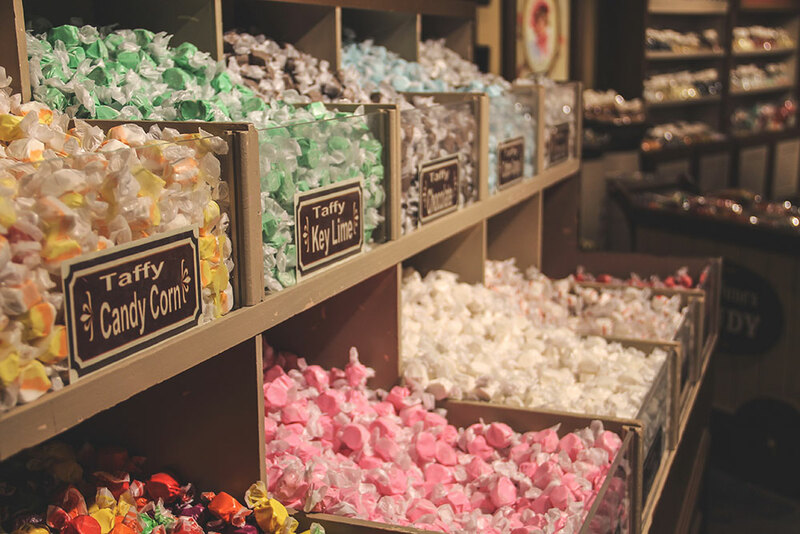 Candy is always a go-to gift and sweet stocking stuffers are in abundance at Silver Dollar City. Give your loved ones a rainbow of color and flavor with handcrafted salt water taffy from Phoebe Snapp Taffy. Choose from flavors classic to wild and even seasonal specialties. 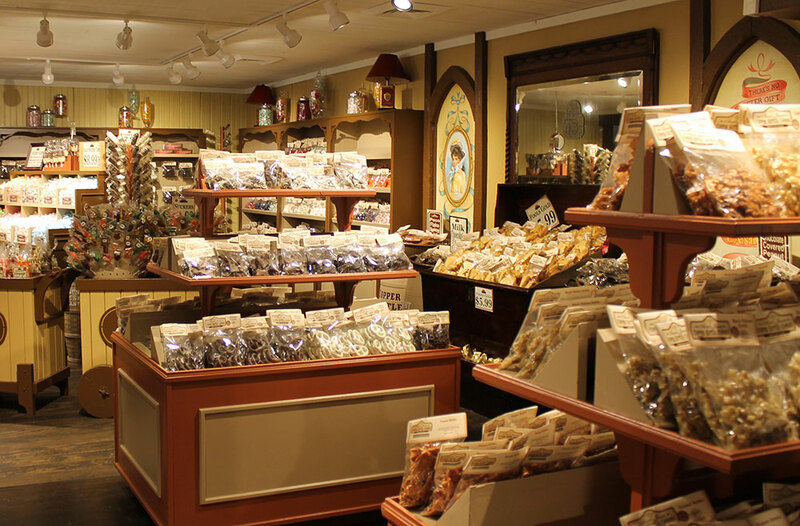 For even more decadent confections head to Brown’s Candy Factory where you’ll find Silver Dollar City’s famous handmade candies including our signature nut brittles, fudge, toffee, divinity, hand-dipped clusters, turtles and much more! So come get your Christmas shopping all wrapped up and then enjoy Silver Dollar City's An Old Time Christmas®! *2018 Season Passes are valid beginning March 14, 2018; not valid on January 1, 2018.